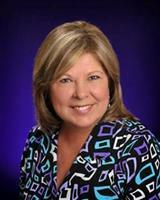 Debbie obtained her real estate license in 1982 and has been a full-time REALTOR®since. Specializing in the Forney/Talty/Crandall/Rockwall areas, Debbie has achieved the multi-million dollar agent status every year. "Honesty is the best policy" is her favorite motto. Debbie credits her great success to her honesty and her willingness to go the extra mile to assist her customers. She has served her community in many ways. She was past president of the Forney Home Builder's Association, past director of the Forney Chamber of Commerce, and served as the Forney Chili Cook-off chairman for many years. Debbie and her husband David have raised 3 daughters, and they are now proud grandparents of three boys and one granddaughter. Debbie has worked hard to build an excellent reputation of dedication, professionalism, and service to her clients and customers. She is a well respected member of the community and will work hard to gain your respect and trust as well.